New Zealand is a small country in the pacific basin. 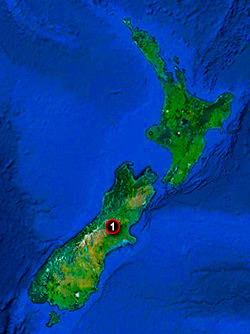 It consists of two main islands, the North Island and South Island. There is an English speaking population of 3.5 million. New Zealand is predominantly a farming and tourist nation. The biggest city is Auckland (Nth Island) with a population of 1.2 million, and the capital city is Wellington (Nth Island). The South Island population is approximately 800 thousand. Queenstown is New Zealands premiere tourist town, with a population of 10 thousand people. Australian Hunting Consultants has the very best in New Zealand hunting experiences. Hunting in New Zealand can be awe inspiring due to the spectacular scenery. It also has a wide variety of exciting species including Bull Thar, Chamois Buck and the mighty Red Stag. New Zealand is a safe and friendly destination so contact us today for more details on our New Zealand hunting adventures. Our most popular hunt is the South Island experience which includes a variety of species packages. To learn more about this hunt please visit the link below. New Zealand South Island Hunt Combinations.